It’s been raining and drizzling the past week. 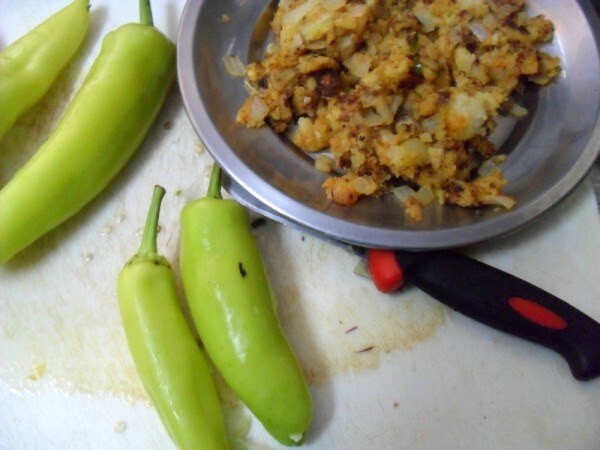 The climate demands that you cook up hot spicy snacks that gets you cozy and enjoy the rains. I have always loved Madras climate, it mostly rains during the night and early dawn. Making it so pleasant to wake up and get yourself hit with the most chilling and cool breeze, with the drizzle and droplets falling on you. We make sure we enjoy our morning coffee in this essence. Then comes the evening, where you get ready for another shower. That’s when you are prodded to cook something warm you up. 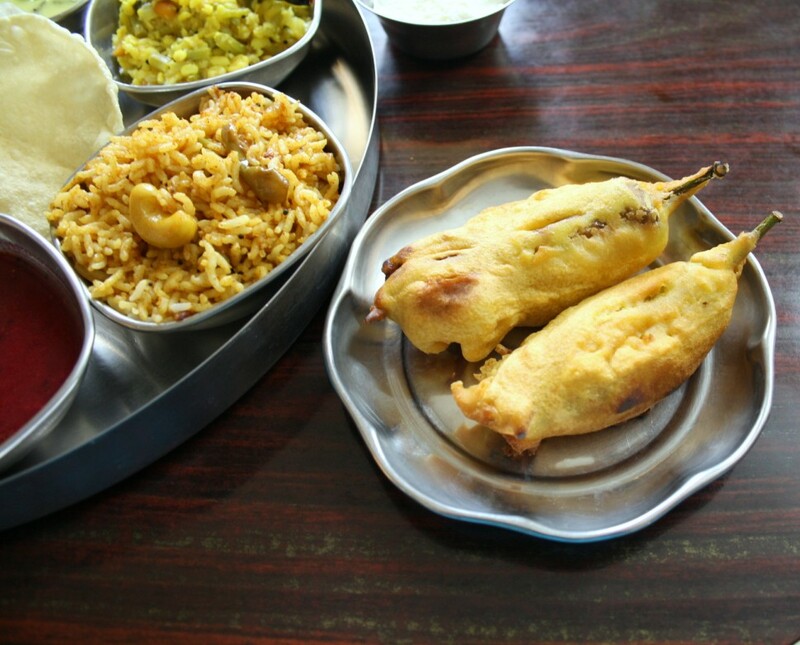 Pakodas, Bajjis or Vadas have always been the thing to resort, when you get hit by the need to cook. Well there was also a period in life, when I resorted to warm, or piping hot soups. I must say those were days in the past. I haven’t really thought much about being stingy in that aspect off late. 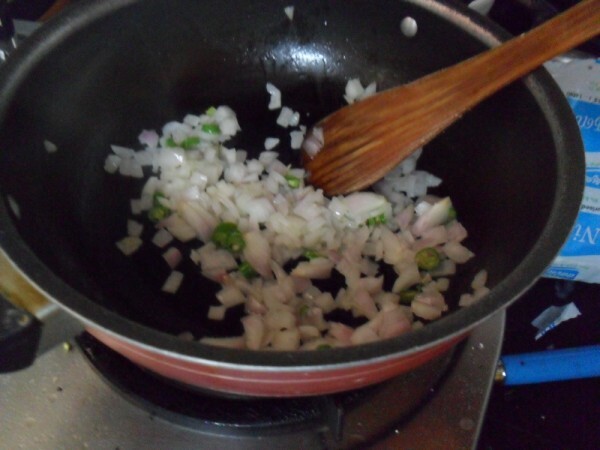 coming back to the topic of frying those bajjis, I am always reminded of Amma making onion bajjis or pakodas. Next thing that comes to mind, is the many times that hubby dear has remarked why I never make those bajjis when it rains. Maybe I just end up enjoying the rains and remembering all those years ago. Well it’s also time to create new memories and this is what I end up making. Wash and slit the peppers in the middle, making sure the stem is intact, remove the seeds if you can’t handle too much spice. Microwave the aloo for 8 mins, peel and mash well. Chop onions, green chilies, ginger and coriander leaves. 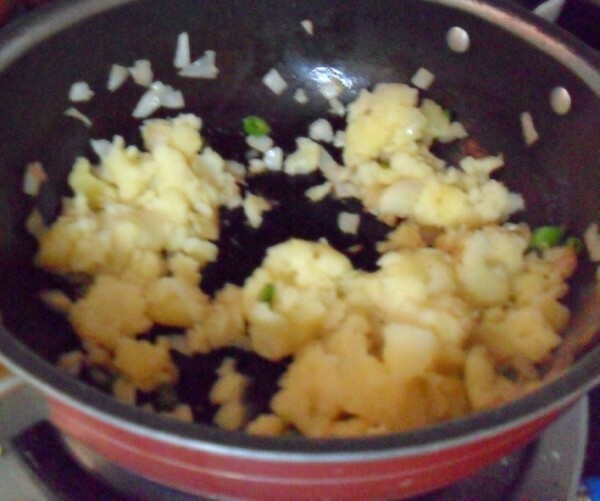 Heat oil in a non stick pan, add onions, green chilies and ginger. Fry till light gold. 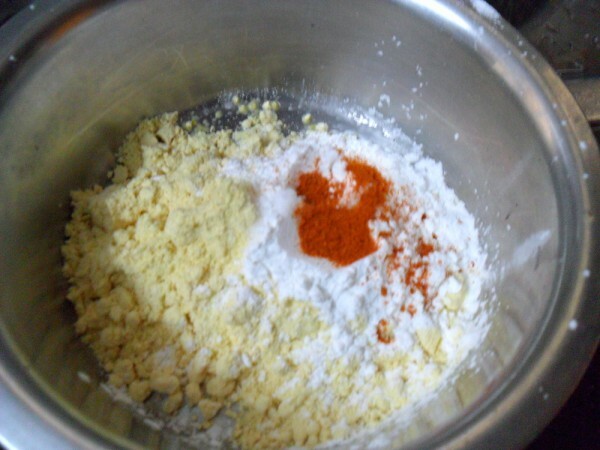 Add mashed potatoes, salt, chili powder, garam masala powder. 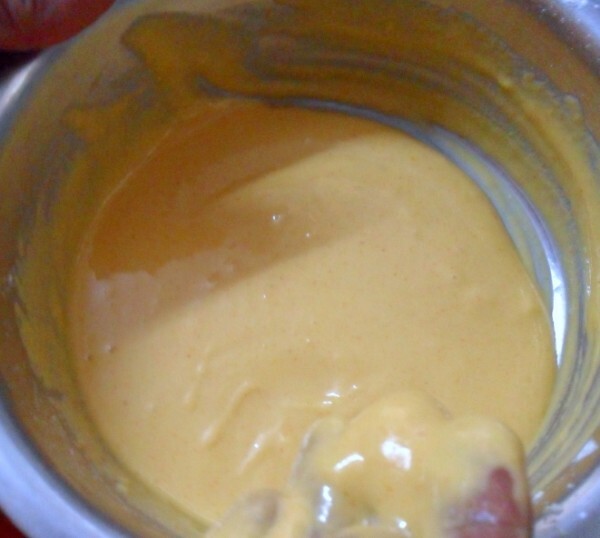 turmeric powder, and mango powder. Mix well. Add coriander leaves and allow to cool. Fill up with the aloo masala inside the pakodas and keep aside. 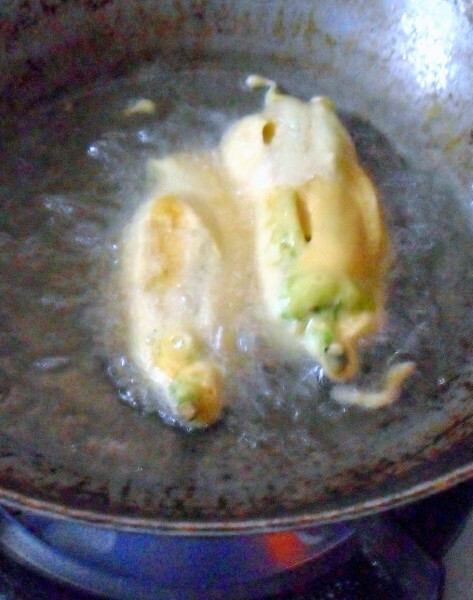 Dip the stuffed peppers into the batter and gently drop in hot oil. You can add lemon juice instead of amchur. And also soda if you prefer to the batter. I didn’t add them. Super like, drooling here, my all time favourite pakoras. 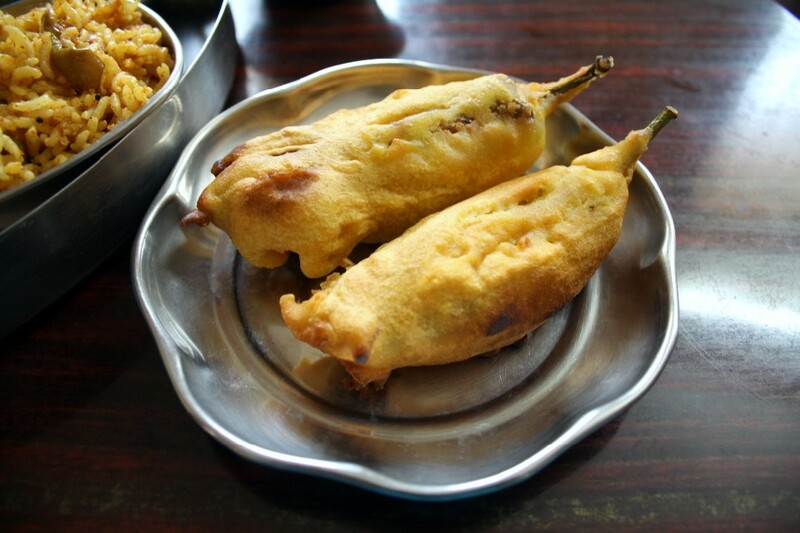 YUMMMM.. We have heat wave here in the US, but I can still have those delicious stuffed pakoras now.. I usually stay away from fried food myself, but there are a few dishes that make me drool and long for fried food — these are one of them. Thanks for sharing them. ooh ! this is seriously addictive and tempting pics, Valli ! one thing though : you wud be the first person to say that you love Madras weather !! LoL !! Although it is sizzling out side, heat wave #4, I wouldn't mind those pakoras at all. The Pepper Pakora looks awesome! Mouthwatering! Yesterday it was raining here…. Was longing to eat something like this.. 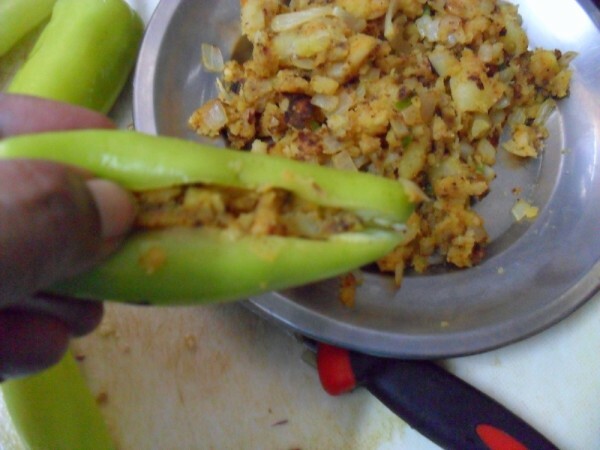 I don't think I have ever eaten these which were stuffed with onion mixture. I will definitely try once I get these peppers. I love this bajji no matter what the weather is…its perfect with a cup of hot piping coffee/tea. Oh you tempt me so much that I want it right now!!! Very interesting filling. I got to try it out next time. Oh my…I am drooling over the pics.. So inviting and I love these pakoras ..